The fees chargeable for landing domestic and international flights shall be for aircraft of up to the tonnage (aircraft) specified in the table below. SURCHARGES: Expect in emergency cases an additional 50% of the landing charges will be payable for each landing made outside of the published operational hours of the aerodromes in respect of every two –hour period or part thereof. 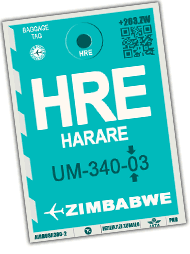 This excludes landing at Robert Gabriel Mugabe, J.M.Nkomo and Victoria Falls Airport. NOTE: Heliports shall be charged $8 per landing except when flight takes place outside operational hours. These charges are for Robert Gabriel Mugabe International Airport only.